(Attributed to) Schroeder, Zürich [c. 1900-1910]. Albumen print. 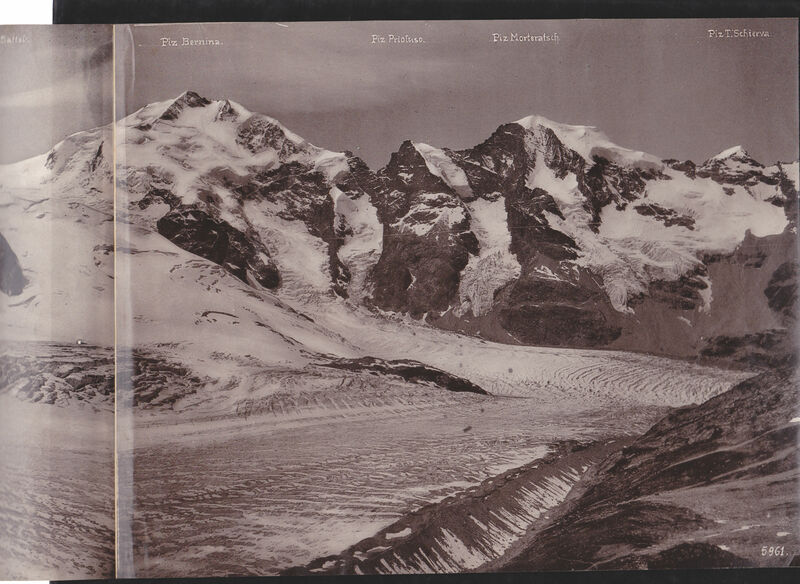 Three-part panorama, good tonal range and in reasonably good condition, photographer’s number in negative. “The Bernina Range is a mountain range in the Alps of eastern Switzerland and northern Italy. It is considered to be part of the Rhaetian Alps within the Central Eastern Alps. 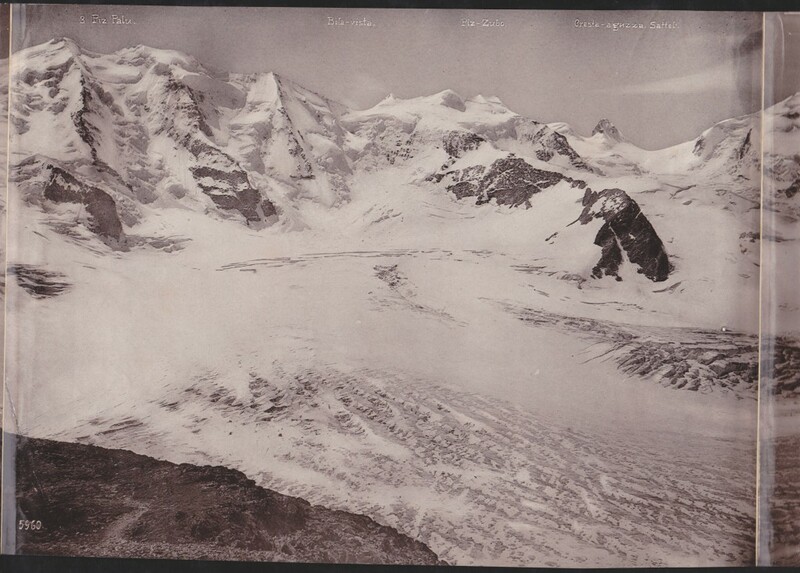 It is one of the highest ranges of the Alps, covered with many glaciers. 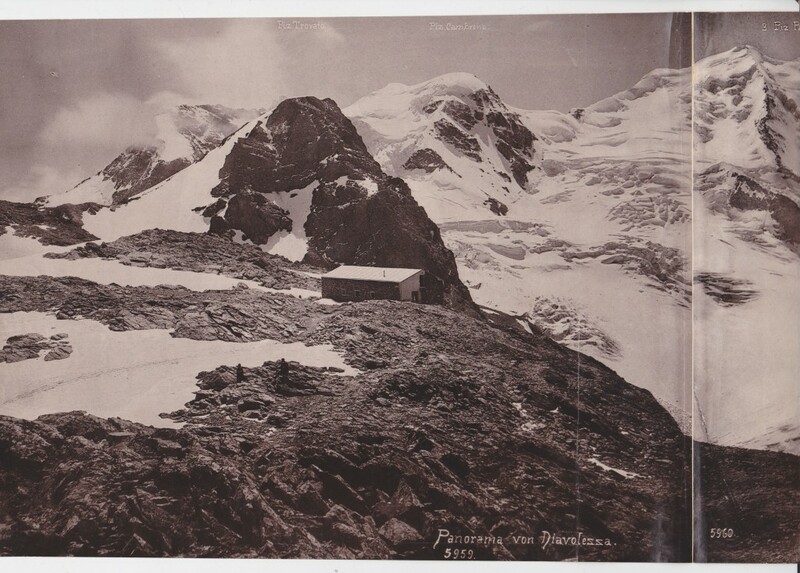 Piz Bernina (4,049 m), its highest peak, is the most easterly four thousand-metre peak in the Alps. 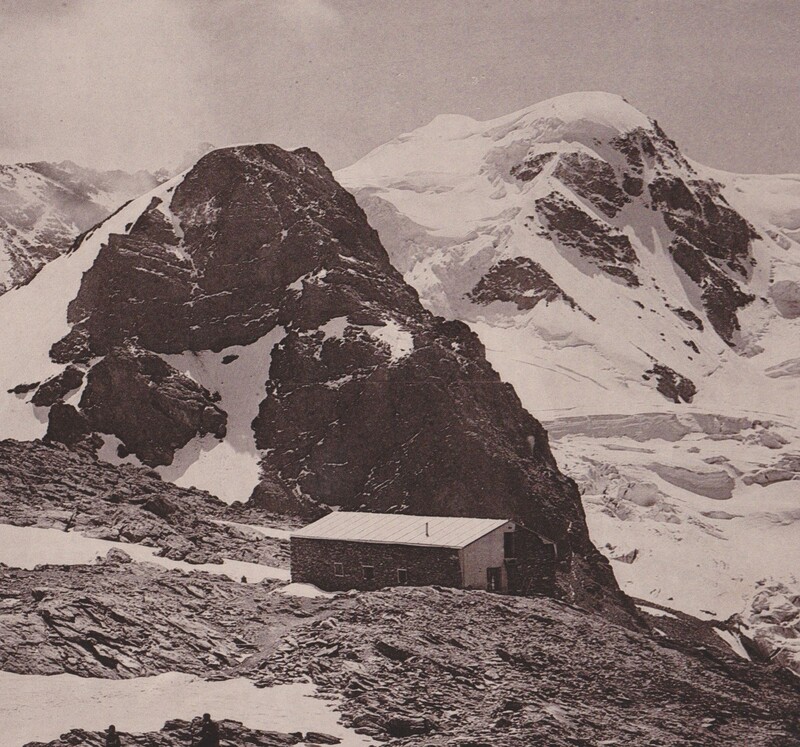 The peak in the range which sees the most ascents is Piz Palü.